I recently discovered a brilliant and very simple way to make green juices into a gourmet treat. 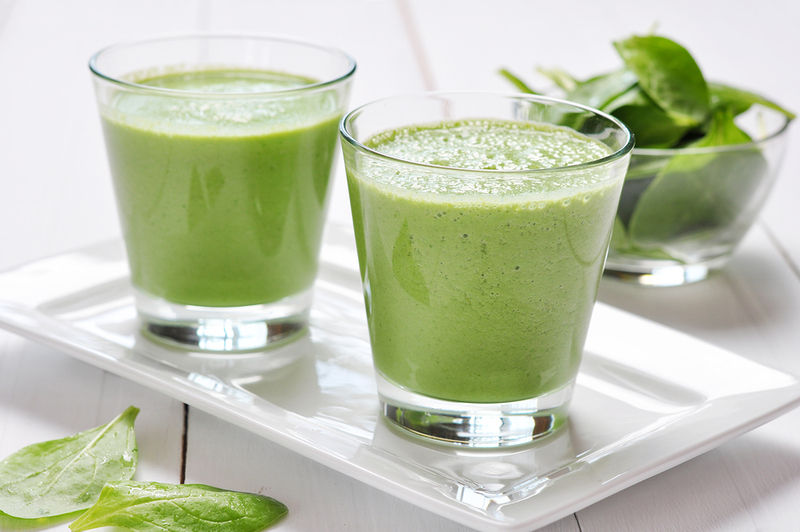 This is a great alternative to adding fruit – though there is nothing wrong with adding some apple, pear or pineapple to take the edge off a potent elixir of dark greens. Add the juice of a lemon too and the interplay of sweet and tart will dominate, leaving the earthy bitter of the greens as a subtle – and decidedly more palatable – background taste. But during recent kitchen experimentations, I came up with another way to make green juice gourmet. Juice the first five ingredients and pour into a glass. Then stir in almond milk to taste – I find that one part nut milk to two parts juice is plenty. This juice is loaded with vitamins, minerals and phytonutrients from the vegetables, and the almond milk gives it an extra infusion of calcium, protein and essential fats and also turns it from a drink into a filling snack – or even meal, if you make enough to satisfy you. The ginger is an important taste enhancer in this drink and you can really take it to the next level by juicing a stick of peeled lemongrass along with the other ingredients. You can find my guide to making nut and seed milks here and there are many varieties you can try. I’ve made green shakes with Brazil nut milk, hazelnut milk and sunflower and pumpkinseed milk and I’ve yet to find a combination that doesn’t work. Raw nut milk is a great alternative to dairy, soya or rice milks. It will stay fresh in your fridge for three days in a sealed container, meaning you can make up a large batch in advance and have it to hand.